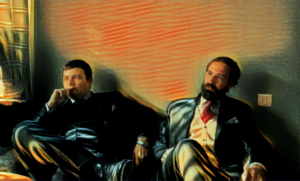 Shaula International LLC is a premier consulting and management firm based in Armenia, whose main activity is the internationalization of European companies in Armenia, primarily Italian companies, as it is the home country of the two founders of Shaula International LLC, Fabio Lenzi and Alberto Cagliostro. 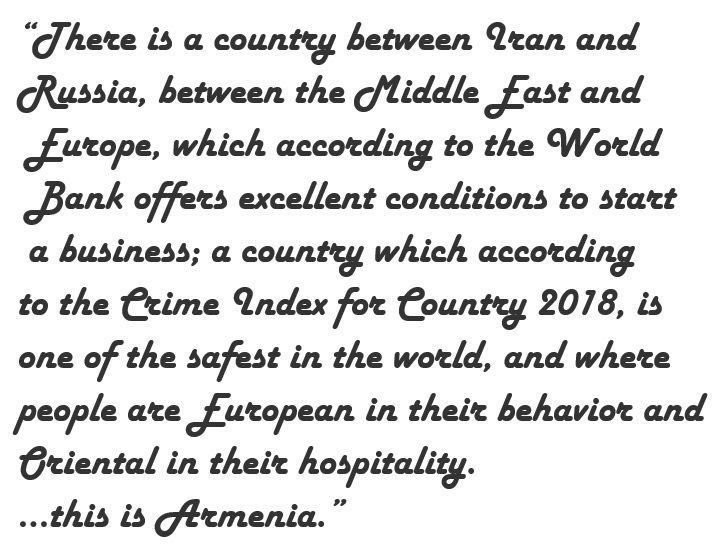 The company provides a wide array of services across different sectors and spheres of business and fosters foreign direct investment and cultural and economic exchange between Europe and Armenia. Together they have combined their ideas believing in the further development of Armenia as a front door for foreign entrepreneurs in the Caucasus Region. Upholding strongly to the development of the economic welfare of the country, the company understands and incorporates Armenia’s culture and traditions in its business activities, as an important part of a corporate mission to elevate Armenia’s profile also among the cultural and artistic areas, creating events that can involve international partners. 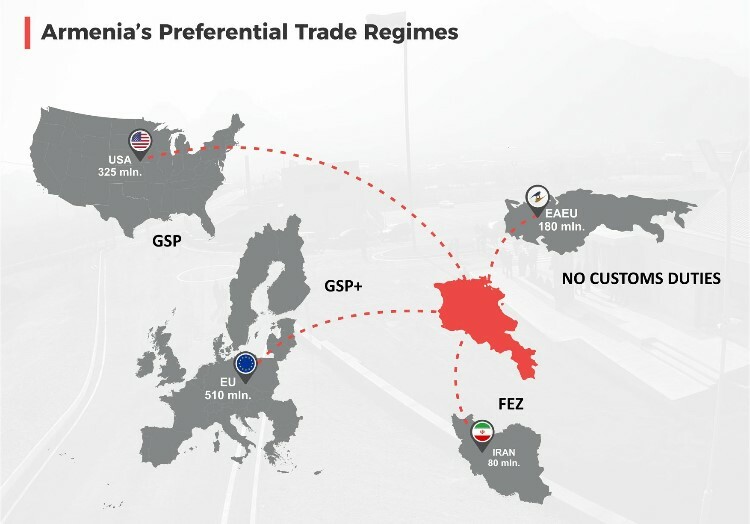 The fundamental part of Shaula International’s strategy is to assure its partners, who decide to internationalize their company in Armenia, that its members will accompany them throughout the whole company development process. Its members will support them with both administrative and marketing policies during the period of expansion in the country, they will support also their customers’ local partners and they will put both sides together in order to increase indeed the economic profits within the country with the help of foreign companies. Our company’s vision is to create entrepreneurial projects that are beneficial both for our foreign partners and for Armenia. Shaula International LLC has chosen to keep a local dimension in order to better serve this specific market. Our mission is to help attract international business professionals and foreign investment into Armenia, generate further economic growth for this rapidly developing market by effectively combining it with the corporate benefits of our clients. CEO and Co-founder of Shaula International LLC, was born in Italy on November 3, 1981 and has done economic studies in Rome and Hamburg. 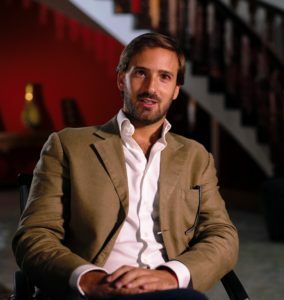 Following his university, he started his business career in Spain, in the banking sector, which afterwards led him to specialize in marketing and business management spheres. Worldwide travels and active networking grew in him a natural interest towards international affairs and multi-national corporations, that kick-started a long and successful career as economic reports director and producer in collaboration with a number of selective top international media, placing strong focus on emerging markets and developing economies such as Nigeria, Mauritius, South Africa, Cambodia, Malta, Morocco and Armenia, where in January 2016 he set up Shaula International LLC. Chief Legal Officer and Co-founder of Shaula International LLC, was born in Sweden on May 21, 1976, and has majored in classical studies in the city of Rome where he obtained his degree in Law at the Sapienza University of Rome, after which he graduated with a Master of International Law degree in Spain. He works in Rome as a lawyer, specializing in International Trade Law and Human Rights. 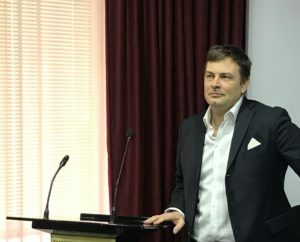 In recent years, he has concentrated his work on the potential of trade between the European Union and the Euro-Asian Union. Two years ago he set up an advisory firm with Dr. Fabio Lenzi in Armenia to promote and facilitate the entry of new Italian investors into the country.